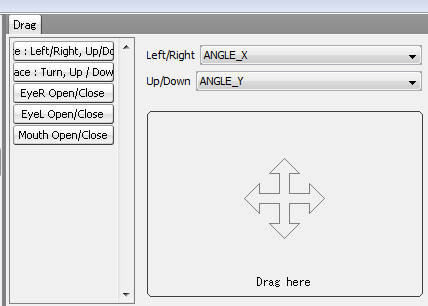 How to Add custom Drag in Live2d animator? How to add additional parameters in the drag tab in the animator? To answer your question, you cannot add parameters that your model does not have. If you need more parameters to control, you need to add new parameters to your model in the Molder tool.